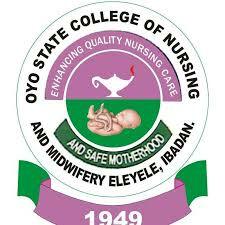 Applications are hereby invited from suitably qualified candidates for competitive entry/admission into the School of Basic Midwifery, Kishi, a Satellite Campus of the Oyo State College of Nursing and Midwifery, Ibadan for Basic Midwifery Programme. The programme is for three years commencing in March, 2019 after which candidates will be presented for the College and the Nursing and Midwifery Council of Nigeria (N&MCN) Final Qualifying Examinations to qualify and be eligible for registration with N&MCN as Registered Midwives (RM). Only individual with required credit passes at not more than two (2) sittings from the same examination body may apply. Applicants should be at least Seventeen (17) years old on admission. Entry into the college of nursing does not require writing or passing JAMB UTME. Online application which commences on Monday, 5th November, 2018 must be completed on or before Friday, 1st of February, 2019. Date of Resumption: Successful applicants/candidates will resume on Friday, 1st March, 2019 for academic activities. Note: No payment to any Individual/Agent or Personal Bank Account. Pay directly to the College Account Number 0694966574 at any Access Bank Branch and obtain the the scratch card from the Bursary Department of the College to complete your application ONLINE. See also: School of Nursing VS Bsc Nursing: Which one is the best for you? The applicant will come to the College with the Bank Tellers obtained from the Bank and collect the scratch card to fill the online admission form.